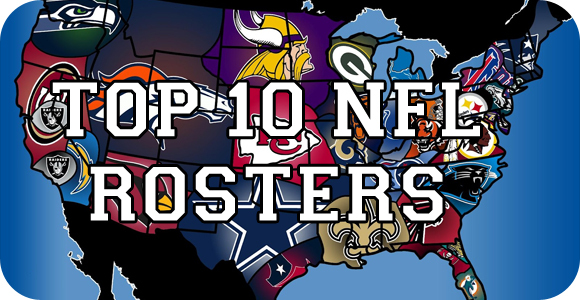 Each year ESPN.com creates their own ranking for all of the 32 NFL team rosters, and we have compiled the Top 10 for any fan that wants to use that information to start handicapping and getting ready for the start of the football season. They take a look at the current roster each team has and grades them based on the potential they have. Regardless of how the ranking goes, it certainly does not guarantee that these teams will perform as well as they are being hyped up to be. They also break it down into which 5 players are the most crucial for their good performance, the play makers. Be sure to check out the rest of the 22 teams and their rankings, but take it with a grain of salt, as it can all change once the season begins.